One of the most common questions we get asked is whether it is worth spending more money on a higher resolution projector? It's a good question; the answer can affect the price you pay for your projector by hundreds or even thousands of pounds. As you'd expect, the answer is slightly technical, but we’ve broken it down so you can make an informed decision to identify which resolution is right for you. SVGA, XGA, WUXGA, 1080p, 4K UHD resolution...what does it all mean? Resolution is the number of pixels that the projector is capable of displaying in one image, while the term pixels itself describes the individual dots that make up the projected image.Essentially, the more pixels the projector fits into the space, the higher the resolution of the image. Why do you need to care about this? Well, more pixels in the same space mean greater levels of detail and stunning crisp images. So far, so good. The confusion arises when you take aspect ratio into the equation as well. You’ll notice from our tables below that XGA resolution and widescreen XGA resolution (WXGA) have a different number of total pixels because they’re displaying a different shape of image. The total number of pixels displayed by an XGA resolution projector is lower than that of a WXGA resolution projector, but that’s not the whole story. If you feed a widescreen image (which most laptops and devices are nowadays) into an XGA projector – it won’t even use all of the pixels it has to display that image. It will create black bars at the top and bottom and you’re left with a disappointing result. Projectorpoint offer a full range of projector resolutions, but we’re definitely seeing a move towards higher resolution projectors. As technology evolves, they’re simply becoming more accessible and better value for money. Mix this with higher resolution devices (your laptop may have a HD screen already) and the normality in meeting rooms that bigger is better and the demand for full HD or higher is truly warranted..
Full HD projectors – or 1080p – have become incredibly popular, while 4K UHD resolution is now no longer the preserve of cinemas but can be found in office projectors and of course, top of the range home cinema projectors. It probably won’t come as a surprise that as a general rule, the higher the projector resolution, the higher the price. However, there are great value options at each level that make it easy for users to stick within their budget while achieving the best image quality possible. A good XGA resolution projector can be bought for around £300.00, but for just £100 extra you could be looking at a 1080p Full HD device – not a big jump given the dramatic increase in image clarity. Moving further up the scale, some Full HD home cinema projectors can cost well into the thousands. But this isn’t all about resolution, it takes into account video processing and colour accuracy as well as contrast for those darker scenes. If you’re breaking the £3,000 barrier, you might want to consider stepping up and purchasing your very own 4K laser projector and going all out on your home cinema and futureproofing yourself. But don’t forget, if you’re looking at 1080p Full HD projectors in this price realm bracket, chances are they’ve got a lot to offer in terms of the latest technology to ensure image accuracy, connectivity, brightness and more. If you move from here into the bottom end of the 4K market, will you still be getting everything you need? There’s a lot to consider, take the time to balance out your options and requirements and don’t forget you can always give us a call if you need more advice. 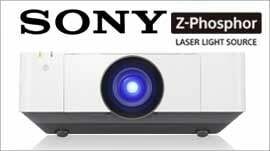 Wondering just how many pixels you’re looking at on the best HD projectors? Check out the tables below for a comparison. Don’t forget to take a look at the changes in aspect ratio too; it’s not just about the resolution here. Video Resolution (4:3 aspect ratio). Widescreen Resolution (16:10 aspect ratio). Widescreen Resolution (16:9 aspect ratio). Widescreen Resolution (17:9 aspect ratio). How does this apply to my choice of projector? The thing you need to remember is that every projector has a "native" resolution (sometimes called "true resolution";). That's the maximum number of pixels it can actually project. So an XGA resolution projector can only display 786,000 pixels at a time where as a UXGA resolution projector can display 1,920,000 pixels and a native 4K resolution projector jumps all the way to 8,294,300 pixels. This native resolution doesn’t just affect how sharp your image is. It also affects the compatibility of your projector with your computer and how efficiently they work together. If your computer is sending a signal to the projector that is WXGA and your projector has XGA resolution, this causes a bit of a problem. Most projectors have the compression technology which we explain below, so you'll still see an image. But there are serious downsides with this when the projector is forced to ‘share’ information across fewer pixels and clarity of image becomes an issue. Don’t forget to consider the longer-term investment you are making. Most computers sold today run in WXGA resolution as standard, while on-widescreen aspect ratios and lower resolutions are used less commonly. But the market is quickly moving towards 1080p. So if you start using computers that run using XGA, WXGA or 1080p resolution as standard, in the future, you may find you are limited with an SVGA projector to a compressed image and all that entails. Spend the time checking your input devices resolution to match it up to your projector where possible. But remember, most projectors will accept a resolution that’s higher than their native resolution. However, to cope with it they will "compress" and adapt the image that is received into fewer pixels. The result is that some of the original pixels are "shared" across the same pixel that the projector displays. This is less important with photos and video, because you don't notice it so much, but with text it's a very different story. Make sure you take this into account if you’re frequently using your projector to display documents, as the case may be with office projectors and classroom projectors. So is a higher projector resolution better? In short yes but the honest answer depends on what you need the projector for. For most people, a higher resolution – 1080p Full HD or 4K resolution – will be better. Projectors require input devices, such as laptops, PCs, Macs, iPads, to feed them with content. Increasingly these input devices themselves are high definition, meaning the information they send to your projector is designed to be displayed in 1080p Full HD or more. Send the information from the source in the same resolution as the projector is designed to display in, and you’ll get the best out of both devices and a beautiful clear image. The jump up to 4K is a little trickier. 4K projectors are suited to home cinema enthusiasts or professionals who really need to impress, either in a large venue where the screen is huge (and therefore the pixels themselves are larger) or a high brow meeting room. While 1080p Full HD resolution will do the job, 4K will undeniably take things up a level. But once again, it’s the input devices they use that are making a lot of people sit up and consider 4K. Typically, consumer technology in devices like media players, games consoles, laptops and handheld devices develops at a faster speed than that of projectors. 4K native content is now everywhere from the Xbox One and Blu-ray to Netflix. If you’re investing in these devices or content or considering doing so in the future, then it’s worth buying a projector that’s up to the job now. Let’s face it, your projector is easily going to outlast the lifespan of your next games console and maybe even your Blu-ray player as technology roars forward. So if these things matter to you, we’d say consider the extra investment in your home cinema projector purchase now to ensure you get the most from your current and future content. Planning for future purchases is one thing but at least matching your new projector to existing devices is easy. It’s simple to track down resolution information within system settings. If you are using a PC or a laptop, go to the Control Panel and select Display. Then, click on the last tab, called "Settings". In the bottom right corner of this box is a setting called "Screen Area". This is a little different on a Mac. On an Apple Mac, go to the "Monitors" section of your Control Settings. Depending on what type of Mac you are using, you will find a similar setting to that described above. Once you’ve found these display resolutions, compare them to our resolution table above. Then buy a projector with the matching (or higher) resolution of the highest input-device- resolution to guarantee the best image, least compression and maximum compatibility. Ultimately, your choice of projector resolution depends on what you want from your projector, your budget or cost-of- ownership calculations. Sharing drafts and a few basic ideas on PowerPoint informally doesn’t require a huge amount of clarity, but with the price of Full HD being such a small amount we’d always recommend this a longer term investment. 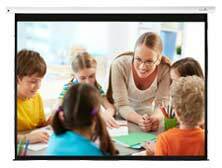 A home cinema enthusiast or a team analysing numbers in great detail will really see the difference in performance and productivity from a high resolution projector. Still unsure? Call our experts today on 0808 278 2773 to discuss your requirements, or send us a quick email and we’ll get back to you.